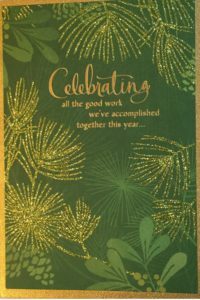 Thank you Canadian Global Care who sent a lovely card to congratulate us for all our work in 2017. Canadian Global Care is a non profit registered charitable organization focused on improving the health and well being of under privileged populations within Canada and around the world. 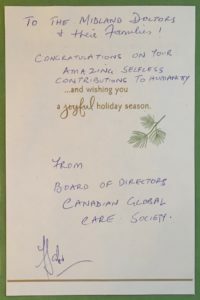 Their goals complement ours and they continue to work hard to support Midland Doctors Association.